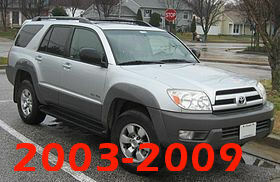 Shop for Toyota 4Runner Aftermarket Upgrades! Shop us for your aftermarket upgrades! Sometimes factory accessories just don't give you the look you need to set yourself apart from the rest of the Toyota 4Runner's! 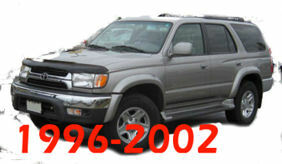 Shop for Toyota 4Runner parts online and take advantage of low prices on inventory and shipping! 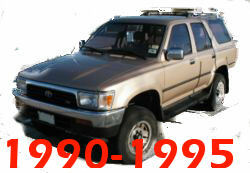 We have one of the largest selections of OEM Toyota 4Runner parts that you’ll find anywhere in the USA. 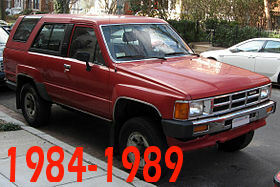 Whether you’re looking for common parts like a Toyota 4Runner transmission, brake pads or timing belt, something specific like a 2007 Toyota 4Runner headlight bulb or a part that’s a little more obscure, you’re sure to find exactly what you need on our website. We also work with a network of Toyota Parts Distribution Centers across the United States to ensure that we get you the parts you need as quickly as possible if we don’t currently have what you’re looking for.